CTSI Logistics Cambodia was established in 1998. 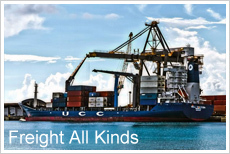 It has the fastest ocean sailing services between North Asia and Sihanoukville, ensuring time critical cargo is received at the earliest possible time. With the introduction of its logistics services, CTSI Cambodia is in a good position to engage new clients in Cambodia’s fast-changing business environment.